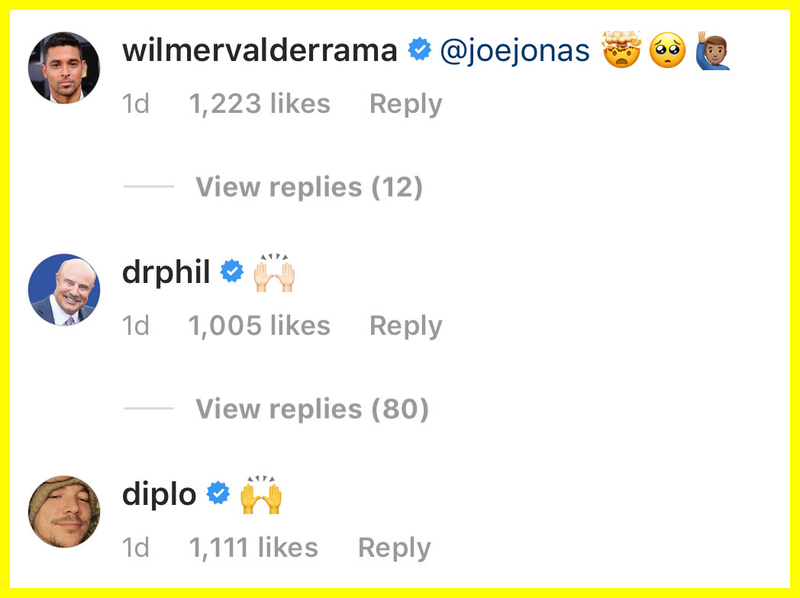 In case you somehow missed it, allow me to give you the best news 2019 could ever bring: Yesterday, the Jonas Brothers announced they were reuniting, and dropped their first new single in almost six years. 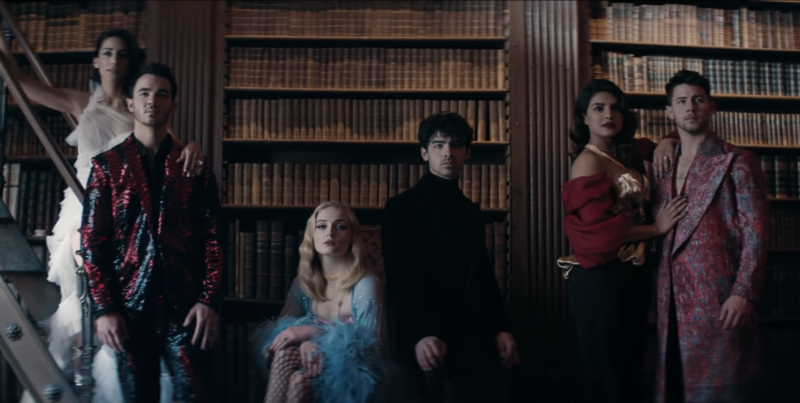 They also released a music video for the single, “Sucker”, which stars the leading ladies in all the Jonas’ lives — Danielle Jonas, Priyanka Chopra, and Sophie Turner. And it is, to put it mildly, a far cry from the brothers of purity rings past. Obviously, everybody is freaking out about the band’s reunion and their new ~direction~. Meanwhile, their Instagram comments are being flooded with support from celeb stans. Of course, Priyanka, Sophie, and Danielle showed up to support their husbands-slash-fiancés. Hailey Bieber — I think we can all agree, every stan’s ultimate hero — said what we were all thinking. Supermodel Winnie Harlow announced she was about to appreciate some classic cinema in celebration. And the band’s old friend, Jordin Sparks (she supported them on their 2009 tour), showed up to support them. The Chainsmokers were so excited, they made an entire Instagram post just to celebrate. Literally everyone was getting involved. Even Dr Phil. I think it’s time for the reemergence of Jonasmania. Watch the video for “Sucker” here and also stream it on Spotify/buy it on iTunes, ladies!! !